Can you boil water? 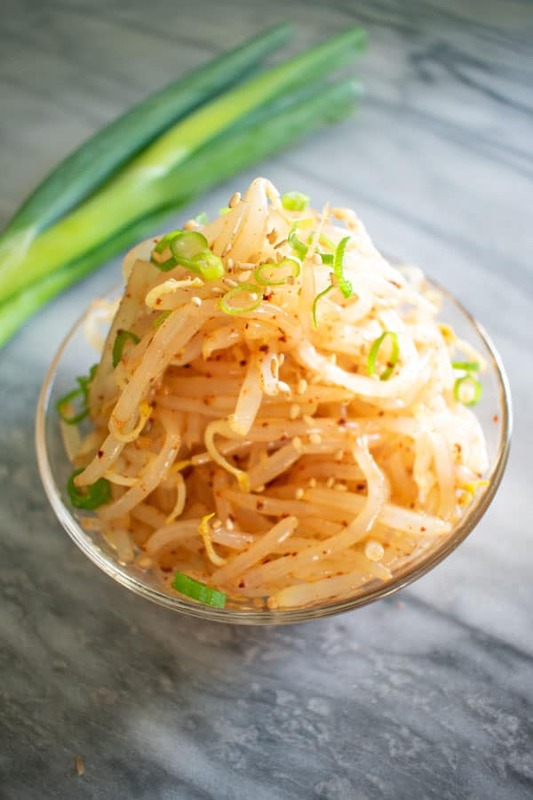 If so, you can make this bean sprout side dish found in nearly every Korean restaurant. 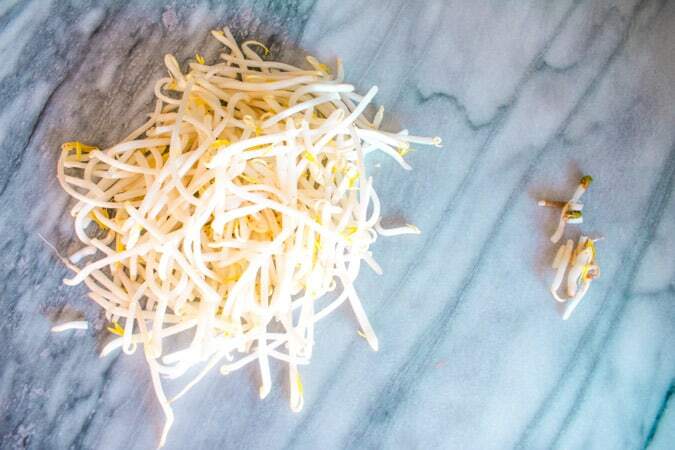 What is a mung bean sprout? It is a sprout from a whole green mung bean. Mung beans are also yellow, but only the green ones will sprout. Buy it fresh, not frozen. It is usually packaged in plastic bags. If it is old, you will see the tips will have browned (pictured below). Remove before boiling if possible. The pot you use to boil the sprouts is easy to clean. 5. Mix sprouts with sesame oil, salt, and Korean chili powder. 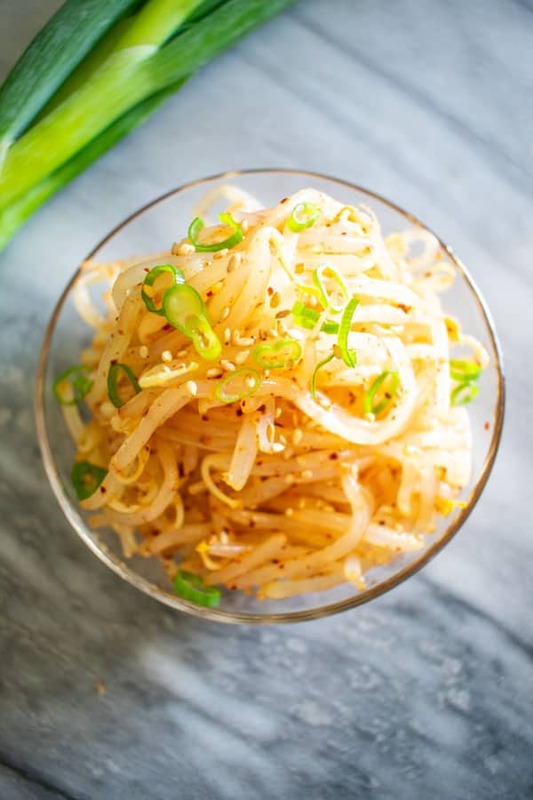 This is also traditionally made with soybean sprouts, which have a bright yellow bean head at the top. However, those are harder to find. You could also add minced raw garlic, sliced green onion, and/or Korean chili powder to the sprouts. How long can you keep this dish? Make it the day before. Keep in the fridge for 2-3 days. Add to the table as a crunchy little pickle-like pick me up to your meal. Published on October 18, 2018. Can you boil water? 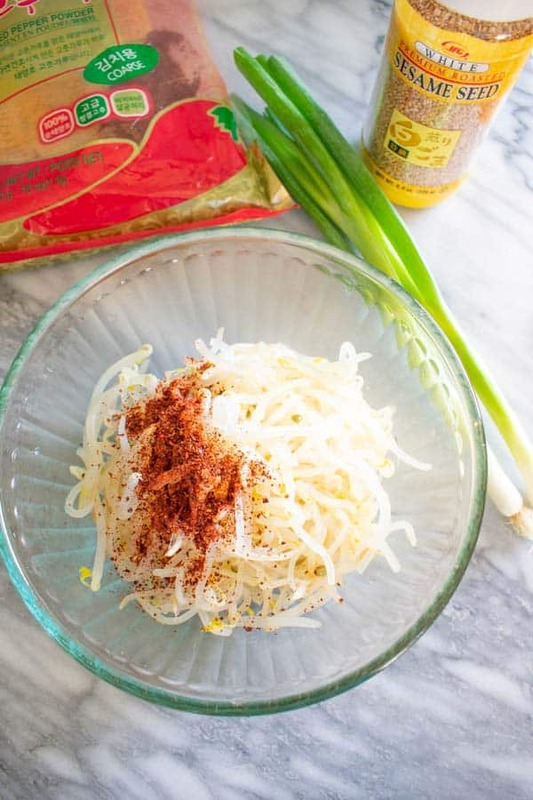 If so, you can make this easy side dish, found in nearly every Korean restaurant. Bring pot of water to a boil. It doesn't really matter how much. But big enough to hold all the sprouts once added to the pot. 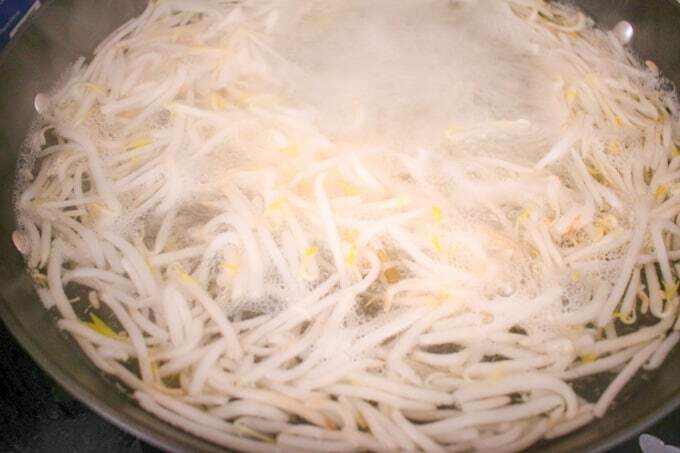 Add mung bean sprouts to the pot. Wait for the water to come back to a rolling boil. Boil sprouts for 30 seconds to 1 minute. Drain the pot into a colander in the sink. Squeeze out excess water as necessary, so it doesn't dilute the seasoning. Transfer drained sprouts to a bowl. Toss with sesame oil, salt, and sesame seeds. Add more salt to taste as needed. Do you have 5 minutes to make this dish? Please spread the Asian ♥ and share!